Widowsorwidowers.com is the longest running widow and widower dating site in New Zealand.  With over fifteen years’ experience in online dating for widows and widowers, we understand the importance of going at your own pace and meeting others who can genuinely relate to your loss. Each of us have different needs and we aim to help you find the ideal partner. Our fully optimised platform allows you to connect directly with other widows and widowers based in towns and cities throughout New Zealand, providing the perfect conditions for romance to flourish. We value the life experience of each member, and suggest connections based upon location and shared interests; striving to ensure the greatest possibility for genuine relationships to form. Members from across New Zealand, with a flexible range of search and location options. Finding love again after losing a partner is a delicate issue. Only you will know if and when you’re ready to date again. If you’ve enjoyed a happy and fulfilling marriage, it can be easy to compare your previous partner with someone new. However, dating after loss is a fresh start, and can open the way towards a fulfilling and lasting relationship with its own unique qualities. This being the case, it’s important to accept that this is an experience to be enjoyed without any feelings of guilt. Over time, dating can open up your life to new pathways you may have never considered. With each of you bringing your own values and interests to the relationship, you can come to love again in a way that is different from what you have previously known. Online dating has become the perfect platform for widows and widowers seeking friendship and romance. Sending private messages to each other in a safe and familiar environment gives you the opportunity to get to know others gradually, before you decide whether or not you want to take things further. If you’re at home or on the move, you can start your dating journey today. At Widowsorwidowers.com it is our number one goal to help you find that special someone who will understand what you’ve been through and with whom you can begin a new relationship. Our helpful range of articles and guidelines offer plenty of tips and advice on how to get started, giving you everything you need to begin your search.